Install a trigger on your drums to increase your sound range. The TM6 Trigger Module is the professional's choice for expanding your drum kit with an endless library of new sounds, ready to trigger on your kit. Want to explore hybrid sounds with your acoustic drum kit but don't need anything too complicated? The compact RT-MicS is your solution to drum kit sound expansion. 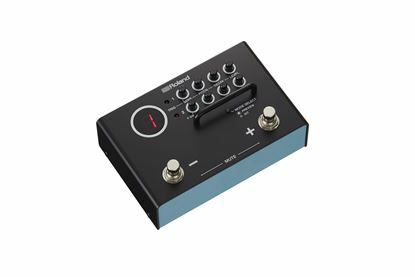 The Roland TM-1 is a unique trigger module that makes it easy to add more sounds to your acoustic drum kit. These sounds can be anything you like, from the TM-1’s on-board kick, snare, tom, cymbal and percussion samples to your own samples and loops. The ability to easily expand your drum kit by connecting any compatible Roland trigger pad or RT-series trigger makes the TM-1 a powerful and practical hybrid drumming solution.